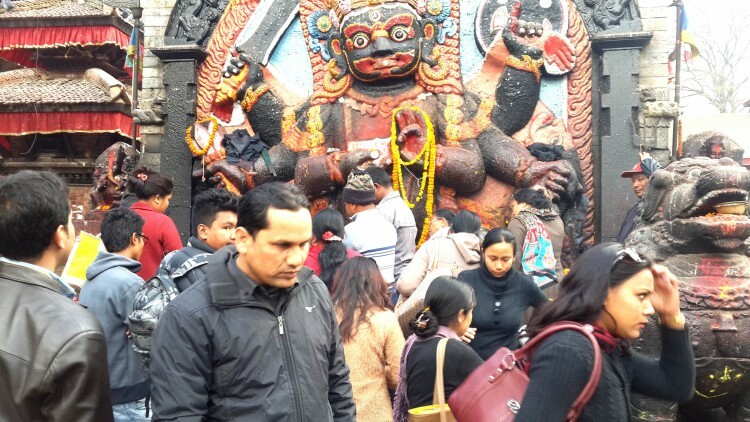 Devotees at Kal Bhairav shrine at Basantapur, Kathmandu. Nepali Congress central committee member Khum Bahadur Khadka speaking at a function organized by the World Hindu Federation in Kathmandu on 26 July, 2015 claimed that 94% people in Nepal are Hindu. Click here to listen to the audio of his speech. However, the national census conducted in 2011 by the Central Bureau of Statistics says only 81.3% people of Nepal are Hindu. Therefore, Khadka’s claim is wrong.